I’m halfway through the second round of content edits on Corroded (Surge Imprint from Anaiah Press, April 2016), which makes it at least the fiftieth revision. It’s been a learning curve, to be sure! Even though it’s coming out second, this is the oldest “book baby” of my adult life. My first born, but she had to stay in the ICU so that the second child, Fortitude, will be out in the world four months ahead of her. Corroded has been through two different critique groups, a full manuscript critique by Laurie Halse Anderson, and a handful of beta readers. Not to mention that it went through two rounds of submissions—and rejections—in the past four years (when I thought she was mature enough) before she was accepted this year (on the “first” try.) I’ve swaddled and re-diapered this story more than anything else I’ve ever worked on. Early readers will recognize the story, but Corroded is now so much more than I thought possible when she was formed a decade ago. In the beginning, I was too close to the main character. By separating myself from her, I was able to dig deeper. How is that? Probably the same way you can find yourself by losing yourself in service. I had to give up my own ideals to find the true complexities of the characters. And in doing that, I maneuvered through the layers of the story to find the heart. I journeyed so far that I ended up with two main characters and dual point-of-view novel. Thought it all, I couldn’t give up on Corroded. The story needed extra nurturing and that took time off and on throughout my other projects. Even now, there’s work to be done, but I’m confident the book will be the best version of itself when it’s finally released from the nursery. Anaiah Press has given me a stellar editor to make sure that happens. It’s been a longtime coming and I’m grateful for each step of the journey. 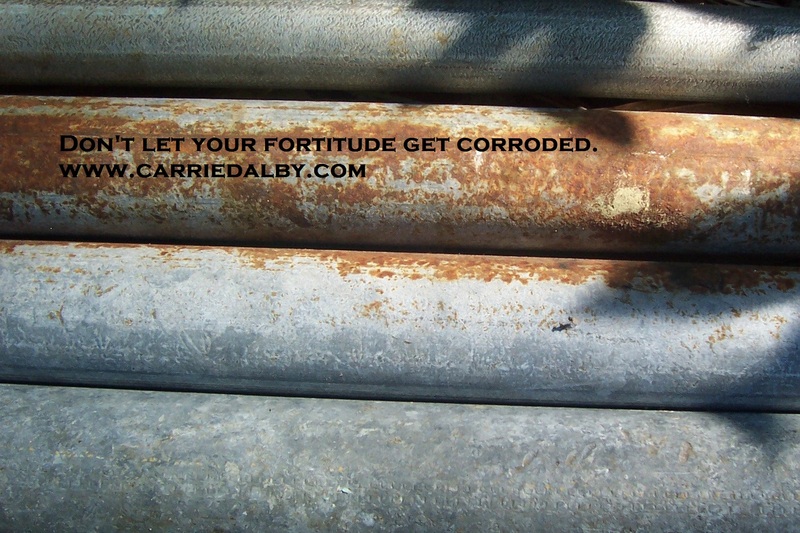 This entry was posted in CORRODED, creativity, critique groups, critque, editing, friends, inspiration, Laurie Halse Anderson, LIFE, rejections, time, WRITING by Carrie Dalby. Bookmark the permalink.